Market fluctuations are an ever present reality for stock investors. While the stock exchange has enjoyed trending bull market movement for the last decade, it has not been without its setbacks and hiccups. December saw bear closings twice before a rebound began to take hold through the transition into the New Year. All this adds up to a market in flux; nothing new, but still uncertainty in what has been a fairly reliable and surging market for an incredible and unprecedented run. Some investors may opt to pull out of an uncertain market, but the smart money is on the long run— the market always recovers, and fluctuating prices actually serves the savvy investor. Utilizing butterfly pattern trading or any other strategy that capitalizes on the market swing will net the watchful eye a healthy profit in the short term, before boosting earnings over the long run, as well. An uncertain market is the perfect time to employ an aggressive trading strategy. A mixture of short and long term moves is especially advantageous to the young investor in particular. This is because young traders are able to recoup losses in the short term over the span of decades to come before reaching retirement age. Simply put, young investors cannot afford to sit idly by as the market produces prices that will net huge profits in the long run. Think about it this way: If you buy in at $15 per share today and next year the price doubles to $30 a share you have earned a theoretical $15 apiece. Multiply that times the growth of 10, 20, or even 30 years and the basement buy at price will add a stunning return to your bottom line when you finally do sell. Younger investors seem to be turning away from the uncertainty of the market with fewer than 30% actively buying up stocks. 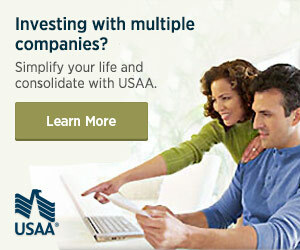 This is absolutely the wrong move for people with nothing but time to earn compounded interest. The investments that offer a high rate of return, albeit along with at least some level of risk, remain the best and only way for millennials to grow their retirement savings to enjoy the golden years. Without a robust strategy and broad investment portfolio, young people are doomed to fall short of their savings goals. The worst part of all is, if you rely on the meager 2% interest rate (or worse) at your local bank, you won’t even know that you are slowing being buried under the rate of inflation until it is far too late. But a Warren Buffet-style buy-and-hold strategy should only be one aspect of your investment game. The true profit seeker will also engage with forex and other trading theaters. Butterfly trading here really takes form. Getting to know the price fluctuation pattern of one commodity pair is a great way to add short term gains to your portfolio. The best way to build your skill is by focusing on one currency and tracking its movements over weeks or months. When you have built some confidence following the pattern, and have seen results by employing a strategy that capitalizes on the market flutter, you can branch out into other price pairs that will boost your earnings even higher. Forex trading is a particularly fascinating trading vehicle. Unlike the traditional market, forex trading can be done at nearly any hour. This is because the Tokyo, Sydney, or London markets—among others—sit within far flung time zones and open at their own windows of the clock. Investors are able to trade at all hours of the day and add to their nest egg. You owe it to yourself to diversify your portfolio and grow your retirement account today to enjoy it when it really counts.